In July of 2011 CAASTLC and St. Peter’s Lutheran teamed up to create the community gardens in the churchyard. This space allowed community members to grow their own food and made contributions to the Helping Hands Food Pantry. This plot inspired the possibility of an urban farm. In March of 2012, the half-acre plus behind St. Peter’s Lutheran that was a large lawn requiring regular mowing, through a combination of the sweat of two young men and the help of a tractor turned that space into a food source for Spanish Lake. Seeding and planting began in the same month, and in the last few months over 3000 pounds of organic produce has been grown and distributed from this spot. While working to get the CSA in place the bulk of the produce has been donated to local pantries and senior centers. Sales have also been made to local, sustainably driven retailers. 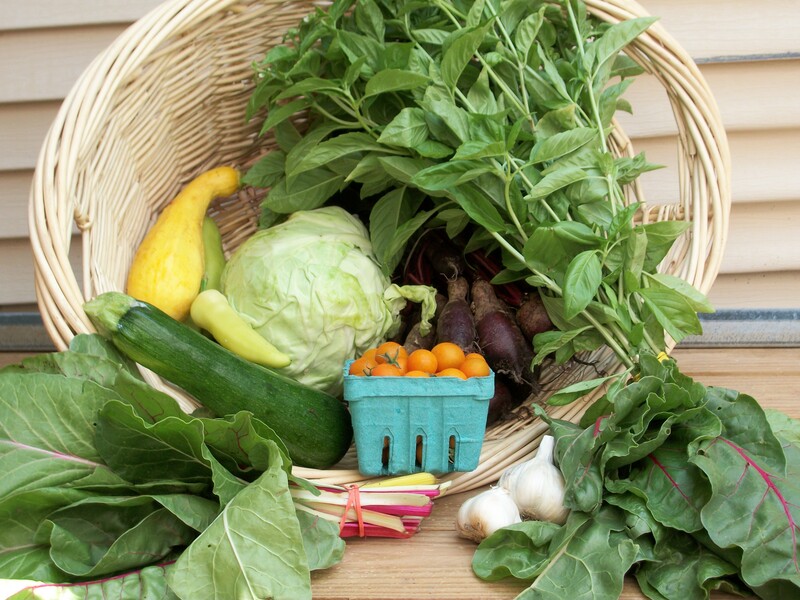 We are very excited to have the food now go to our CSA members. We are thankful to our members and the multitude of people who have helped bring this project to fruition, beginning a community within a community. Gabriel Hahn, Farm Manager: Gabriel has spent the last five years involved in organic farming. He began at Biver Farms in Edwardsville, Illinois and has traveled abroad to learn and live under the principles of permaculture. He returned home and began implementing those principles and practices in a home garden and in a part-time growing opportunity for a local cafe. Randy Tempel, Community Garden Coordinator: Randy is a St. Louis native and became interested in the organic food culture in the San Francisco Bay Area and decided to become a part of the progressive food movement when returning home to his hometown. Over the past few years he has gained practical knowledge working on organic farms and is interested in four season local production and beekeeping. Randy is excited to be part of this project ‘s goal of increasing access to healthy, organic food. Jehad Almaharmeh, Farm Apprentice: Jehad was a student at the International Institute and was recommended for the project by the Lincoln University Extension. Jehad joins the project in hopes of learning the tools to manage his own small farm. Great sliced on a greek style salad or pizza paired with black olives or sauteed. Store them in a plastic bag, or place them in the leftover vinegar of a pickle or pepper jar! This well-loved summer herb is a bit tricky to keep fresh. We suggest keeping your bunch hydrated and refrigerated, so try containing it in a plastic bag with the cut stems in a cup of water. Separate tops from the roots and store separately in plastic bags in the refrigerator. The roots can store for a couple months. To keep crisp and hydrated keep refrigerated in sealed plastic bags. Cabbage will store for months. If you open your bag and find wilted yellow leaves, just strip them away to reveal a fresh cabbage underneath. Keep refrigerated in a plastic bag. To prepare, strip the tender leaves from their stems, then cook the chopped stems a few minutes longer than the greens. Keep your cured cloves dry and well-ventilated at room temperature. They can last up to six months, but not in a cook’s kitchen! These are fine to keep on the kitchen counter so long as they are kept dry and used in a couple days. To make them last longer store in the refrigerator. Squash/Zucchini: Refrigerating and placing them in a plastic bag will help them last longer.